For day three of Milan Design Week, we visited Ventura Centrale, Ventura Futures, and a Design Academy Eindhoven exhibition along the way. Ventura Centrale is Ventura Projects’ biggest show, located in empty warehouses at Central Station. Offering a completely blank canvas to designers, Ventura Centrale is popular amongst larger companies looking to create large build-outs and smaller designers looking to go big. Design “conscience” was heavy on the minds of many exhibitors at this year’s edition of Salone. The accessories company FREITAG—whose business philosophy originally stemmed from a passion for sustainability—took an opportunity to spread this message in a more immersive way through their “UNFLUENCER” installation at Ventura Centrale. The visitor is asked either as a designer or consumer to reflect on the design “sins” they’ve committed over time by attending a design confessional and then cleansing in an all-encompassing video installation by artist Georg Lendorff. Think of it as a good moment to atone for your K-cups or Amazon Prime addiction. Humanscale is a contract furniture company known for its meticulously ergonomic collections. For Centrale, they’ve taken a rather poetic approach to conveying their obsession with the human form. 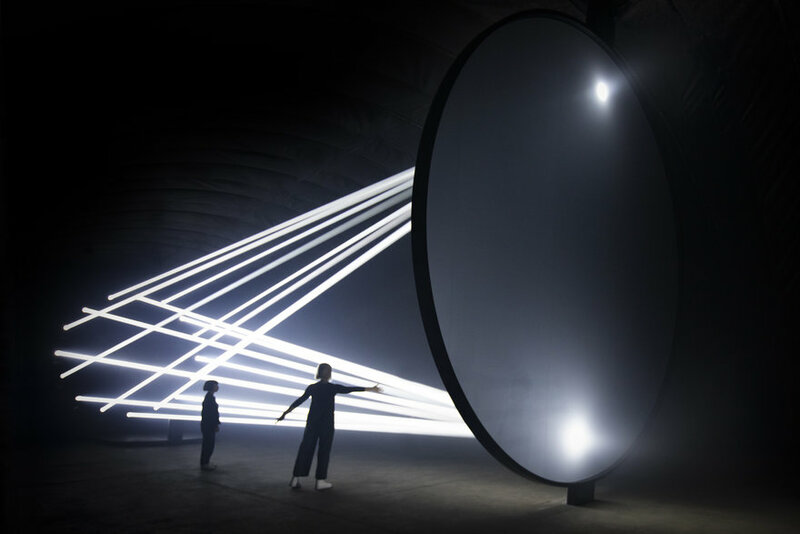 Their “Bodies in Motion” installation, dreamed up by Todd Bracher & Studio TheGreenEyl invites visitors to approach a podium, where their body is scanned and movements are translated through light by highlighting key points of the human body. Every exhibit at Ventura Centrale this year had a sophisticated approach for using design to invigorate the senses, and perhaps unsurprisingly for Yamaha Design, their design mission was all about the music. The company commissioned a number of dramatic pieces that helped visitor’s experience music in unexpected ways with works like a hanging piece of art by Kazuya Washio that doubles as a working piano as well as an interactive sound piece featuring a furniture pit and cello by Natsumi Kobayashi that allows you to “dive into the sounds [the instrument] produces”. Student work in Milan is always the stuff that stands out to us most for its ability to question the practices of past design generations, and this year’s selection is no exception. A large concentration of work by students at institutions such as Royal College of Art challenged design issues such as planned obsolescence, data privacy, and the repurposing of waste materials created in the process of manufacturing. “ALIBABA. FROM HERE TO YOUR HOME” is a product of Eindhoven’s recently formed GEO—DESIGN group, which explores “social, economic, territorial, and geopolitical forces shaping design today” in the form of research and exhibitions. The show zeroes in on the global presence of the open-source manufacturing behemoth, Alibaba. The tone conveyed in the show is one that sees Alibaba as both empowering and problematic, sharing a refreshing criticism that extends beyond Alibaba as a survey of modern manufacturing and the marketplace. Highlights of the exhibit include absurd live performances on site by the TikTok live streamer Jing He and a full neon installation that displays AI-generated advertising.